As house design becomes more complex, and as more and more buildings are converted into flats, there is greater potential for pressure fluctuations to occur in plumbing systems. This might not sound too serious at first glance; however it can lead to the standard water seal traps fitted under sinks, basins and showers to fail. This can in turn lead to foul air entering the building from the drains, breaching Part H of the Building Regulations not to mention causing a health issue and being unpleasant for users. Part H details the maximum length of branch pipework, which is permitted for different appliances in an unvented situation. However, installing a HepvO instead of a water trap effectively vents the branch pipe. So, for instance, a 32mm waste run can extend to 3m without increasing the pipe diameter to 40 mm, once a HepvO is introduced. There are many situations where a water trap might fail, but with a waterless trap such as Wavin’s self-sealing waste valve HepvO, these are all avoided. Its unique membrane design allows fresh air in until equilibrium is achieved and negative pressure removed, and then closes to create an air-tight barrier between the living space and the drainage system. No venting is required and siphonage cannot occur. The product also allows straight or vertical pipe runs to be created, allowing for a simpler system design, in addition to longer runs from the waste, providing increased design freedom. 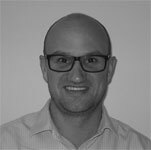 Tim is the Technical Services Manager for Wavin with over 17 years’ experience. He is responsible for the Technical Design and Support teams.